The Red Band Trailer for Sony Pictures' 'EVIL DEAD' Remake! 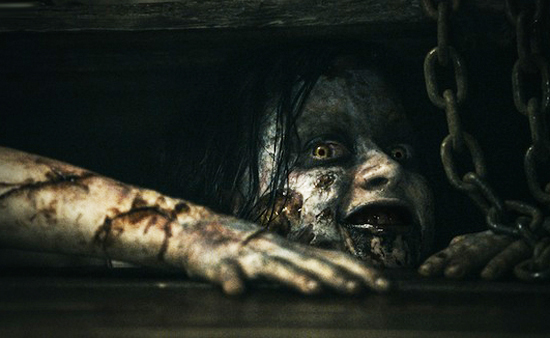 Sony Pictures has debuted the red band trailer for Fede Alvarez’s Evil Dead remake. Approved & produced by Sam Raimi & Bruce Campbell, this new adaptation of Raimi’s horror cult classic stars Jane Levy, Shiloh Fernandez, Lou Taylor Pucci, Jessica Lucas & Elizabeth Blackmore. The movie hits theaters April 12th 2013. Hit the jump for the details. Synopsis: "In the much anticipated remake of the 1981 cult-hit horror film, five twenty-something friends become holed up in a remote cabin. When they discover a Book of the Dead, they unwittingly summon up dormant demons living in the nearby woods, which possess the youngsters in succession until only one is left intact to fight for survival." I'm reading: The Red Band Trailer for Sony Pictures' 'EVIL DEAD' Remake!Tweet this!